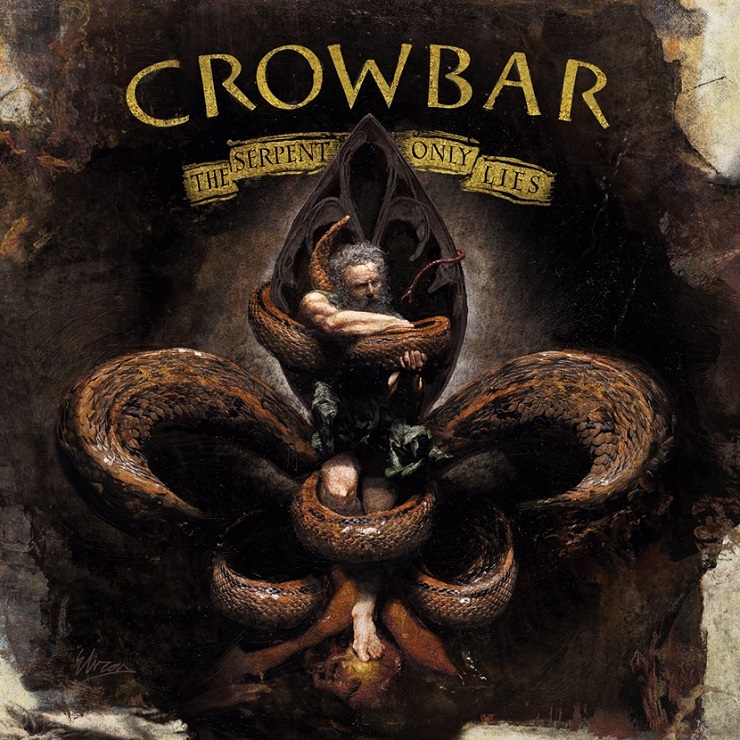 For 25 years, New Orleans sludge masters Crowbar have been consistently releasing top-notch, crushingly heavy records, and their newest offering, The Serpent Only Lie, is no exception. The band's 11th studio album ticks all the boxes of what can be expected from a Crowbar release, featuring 45 minutes of massive riffs, doom-laden melodies and Kirk Windstein's iconic corrosive vocals. "Falling While Rising" starts the album off with a quintessential Crowbar riff, slow and steady, before building up to a mid-paced groove. Fierce, chugging guitars and colossal rhythms that define heaviness carry on throughout album, but are especially memorable on "I Am the Storm," "Embrace the Light" and "As I Heal." Metallica's 'Hardwired' Creative Director Addresses Crowbar Art Similarity: "We Hadn't Heard of Crowbar or Seen the Album"